Home to hundreds amazing animals representing more than 60 species, including some of rare and endangered species. Combining Balinese cultural ambience with African Savannah, Bali Safari and Marine Park features the following exhibits featuring Sumatrapan elephant, Sumatran tiger, white tiger, leopard, komodo dragon and cheetah are just some of the fascinating creatures that can be seen at the Bali Safari and Marine Park. Return to hotel in the afternoon or according to your wish. Morning enjoy the beach with the kids, at leisure. In the afternoon depart to visit Garuda Wisnu Kencana (GWK). Designed and built by Nyoman Nuarta, one of Indonesia’s foremost modern sculptor, the Garuda Wisnu Kencana (GWK) statue and its pedestal building will be standing 150 meters height with its wings span 64 meters across. The status is picturing Lord Wisnu, as the source of wisdom, riding on the back of the mythical bird Garuda, as the manifestation of conscience toward Amerta, the perennial goodness. At present time, parts of the complete statues have been placed temporarily in different plazas within the area. The status and its pedestal will be surrounded by more than 240 hectares cultural park that provide attractions for both local and foreign visitors, with supporting facilities such as Lotus Pond, Festival Park, Amphitheater, Stree Theather, Exhibition Hall, as well as restaurants and souvenier shops. 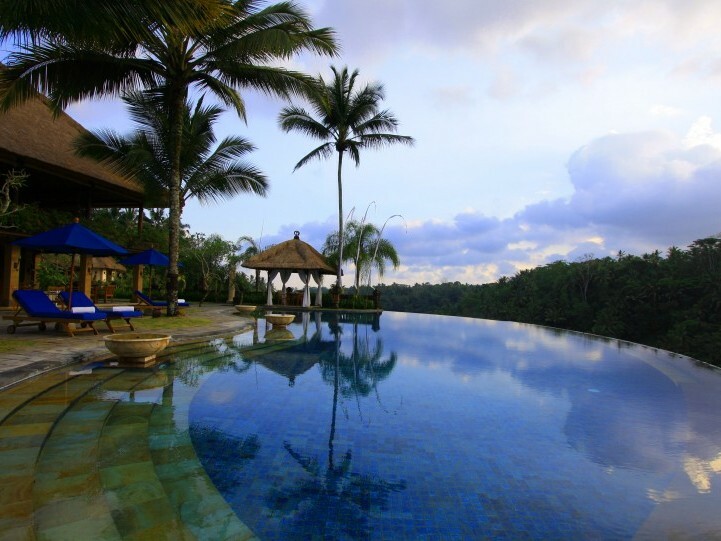 Enjoy the fullday activities at the park, then transfer to your next hotel in South of Bali.